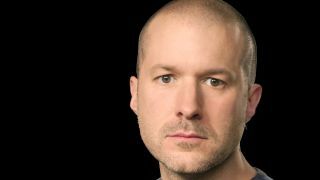 Apple's Head of Industrial Design Sir Jonathan Ive says the company came close to scrapping iPhone on several occasions during its development stages. The recently-anointed Knight of the Realm told an audience at the British Business Embassy that Apple considered abandoning the idea as it wasn't good enough to be considered great. "There were multiple times where we nearly shelved the phone because we thought there were fundamental problems that we can't solve," he said. The Essex-native says Apple often reaches the point in the production process where: "we were pursuing something that we think 'that's really incredibly compelling', but we're really struggling to solve the problem that it represents." In the case of the iPhone Sir Jony referenced one problem where putting the prototype to his ear would result in said extremity dialling a number. Ive says that the bravest points in Apple's history have coincided with the moments where the company has admitted it needs to revisit a good idea in order to make it a great one. He added: "We have been, on a number of occasions, preparing for mass production and in a room and realised we are talking a little too loud about the virtues of something. "That to me is always the danger, if I'm trying to talk a little too loud about something and realising I'm trying to convince myself that something's good. "You have that horrible, horrible feeling deep down in your tummy and you know that it's OK but it's not great. "And I think some of the bravest things we've ever done are really at that point when you say, 'that's good and it's competent, but it not's great'." Roy Walker, of Catchphrase fame, would be proud.